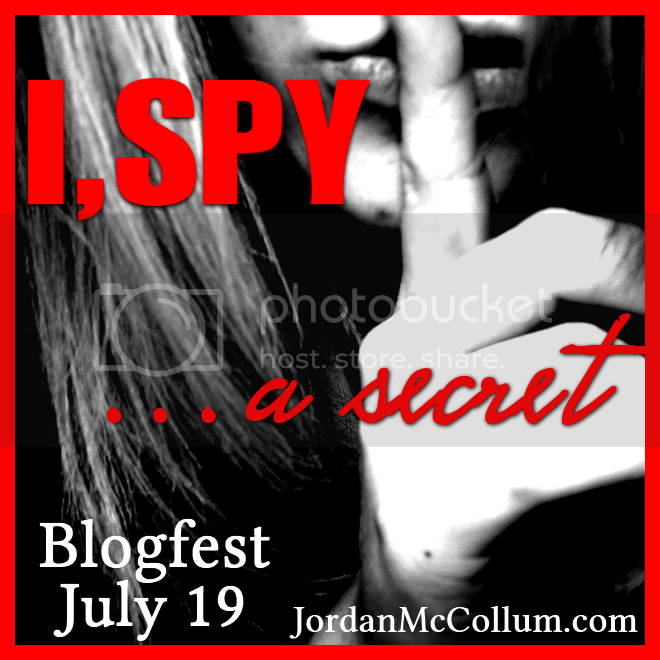 A Writer's Bookshelf: I Spy...a secret Blogfest! Enjoy, and when your done here click on the badge above to learn more awesome secrets! “Go ahead and run with your little playmate. You weaklings always hid behind the Regs,” Kemo taunted behind them as Reilly force marched Lattie away. Her free hand jerked at Kemo’s words, causing the lockers on the wall beside her to crash open. Oh, no. She hadn’t meant to do that. The magic had just leaped from her just like last week with the stupid television explosion. She needed to control her emotions better. “What the—” Lattie stared at the open lockers. Reilly pretended to stare as well. “Maybe the school’s haunted.” Lame, lame, lame. Reilly smiled. Lattie was smooth, she’d give her that. She offered a, what she hoped appeared casual, shrug. “I’ve seen him around the last couple weeks. No biggie. Maybe he thinks Reg is an insult or something.” Her tongue tripped over the lies, but she didn’t know what else to say. Council Rule # 1: Regs can’t be told about the magical world. They can, however, find out for themselves, like the case of her father meeting her mother. But she didn’t want her friend dragged into the mess of life with Casters. Not to mention the fact that Lattie might think Reilly was crazy and never talk to her again. Nope, better to avoid that sticky mess. Lattie broke into her reverie. “You said you had something to change into.” She eyed the food smeared down Reilly’s front. “Yep, in my locker.” Reilly’s Rule #1: Always have a spare change of clothes in case one needs to hide blood, claw marks, or whatever else Shifters used to attack. She grinned. Mashed potatoes, definitely a new one.